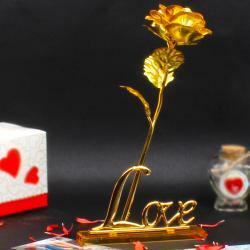 This is best gift hamper ever your loveone received and will enjoy your romantic journey of everlasting your love. 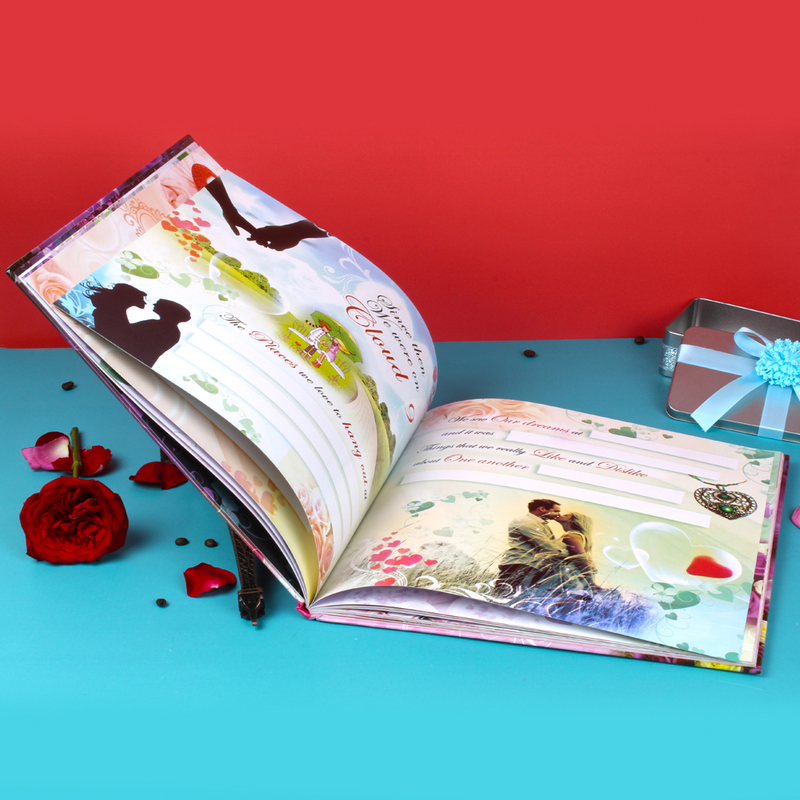 This is a book of Love Records with romantic story of your real life. 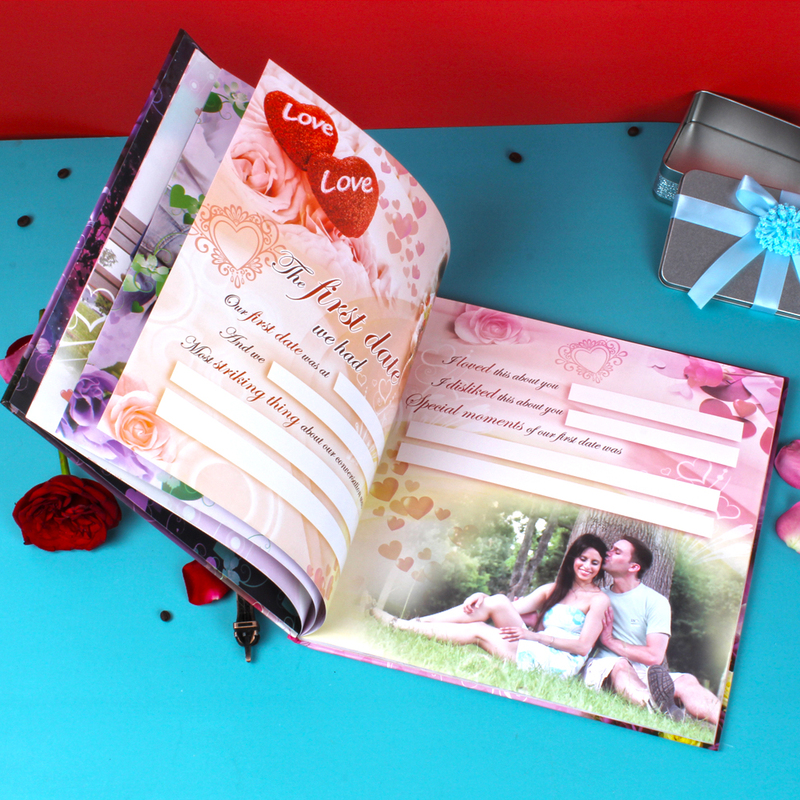 Here we present the slam book for the record your love memories every page specially created to revel your feelings. Love Book includes pages like Meaning of love, The lovely Day we first met, Our first emotions one others, The first Date we had, About we were cloud 9, Love Test, Meaning of our love, Rate Me, Know each other like and dislike, First time Romance, First time outing, Most memorable special moments, Funniest memories, Loveable messages, Celebration time, Valentine':s Day, Photo Zone, Special messages for her and him. 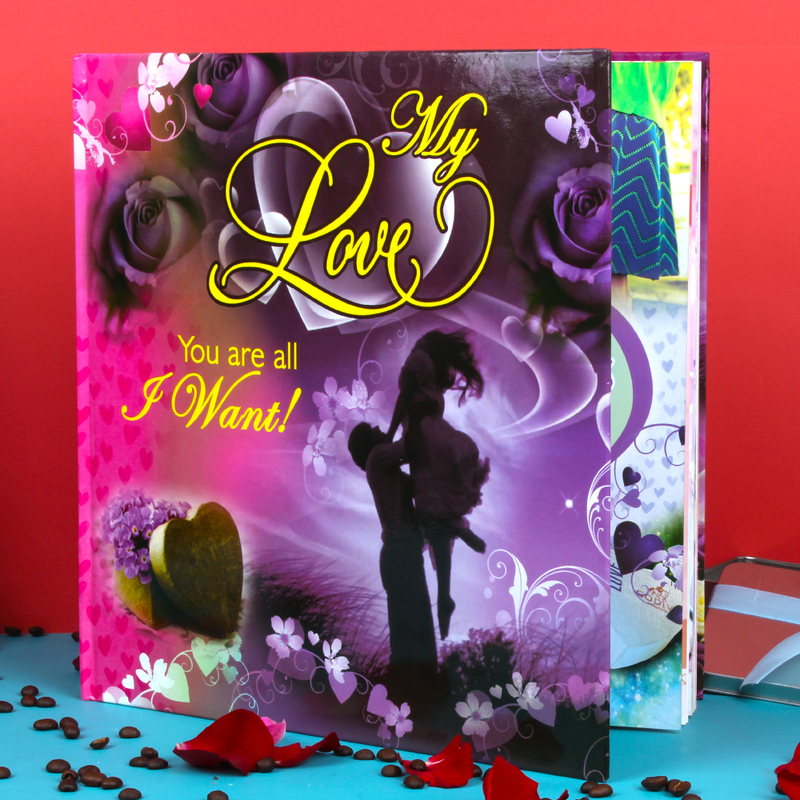 This book is looking fantastic because of it is fabulous printing and collection of romantic photo artistically arranged. 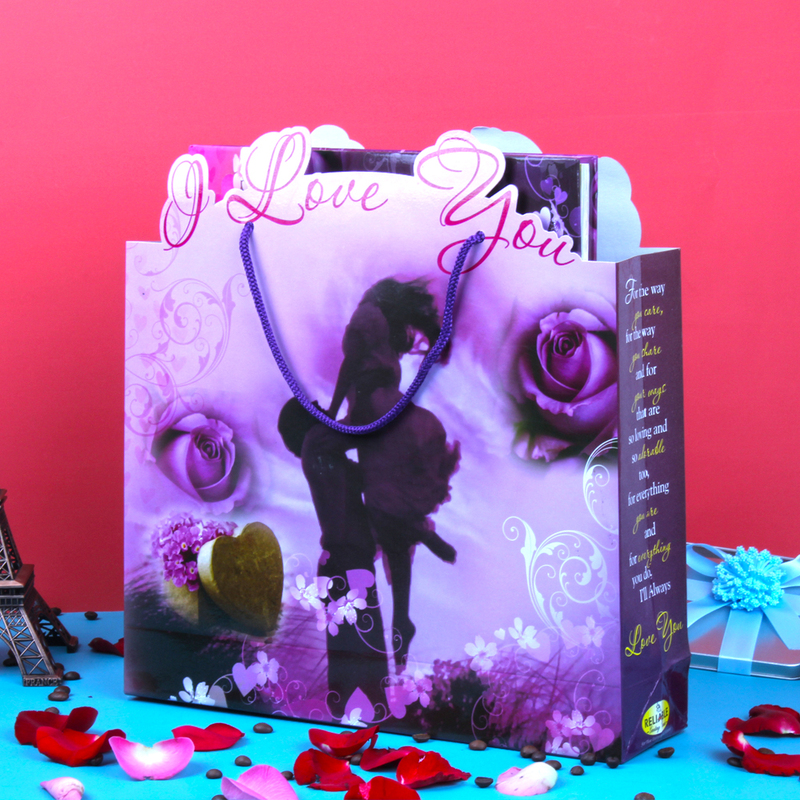 Your love partner is very much excited when they received this love book from your end. 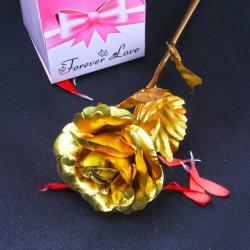 So , book your order now and make the romance blossom again. 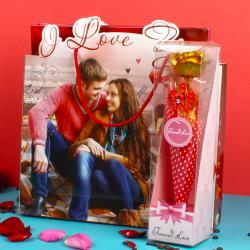 Product Includes : Love Slam Book Style Card in Exclusive Bag (Size : Height : 12 Inch and Length : 12 Inch).